It’s VERY important to note that Anita has been putting up with these threats for a long time. This was the fourth time she’s been threatened with mass murder for speaking in like a month-long period (or close to it). After awhile, enough is enough. The other three times, the hosts were able to ban weapons. So there is a clear difference here, and I think the opposition to this – from many sources – really stems from 1) she opposed guns! Guns opposition bad! and 2) She’s a feminist! Feminist bad! You have a point on the first part. The second part would be true if the threat was deemed credible. It wasn’t in this case. I fail to see what more the university could’ve done in this case that wasn’t in violation of the law. A major part of what we do is about distrust of the government. That’s one thing. Secondly, put yourself in her shoes. You are a feminist (you’re gonna have to try on this one). You are used to campaigning for women who have a history of being largely ignored by the police, either due to workload backup (“We’ll get to that domestic abuse case eventually…”) or outright sexist beliefs (“… so what were you wearing?”). In short, you are unfortunately used to authority figures blowing you off. Bear that in mind when you hear what Anita said – and what the blowback would be if someone did actually shoot the school up (don’t get me wrong; no one actually believes it will happen, but if you’re the one giving the talk, “what if” takes on a whole new dimension) – because I don’t think it was 100% a political stunt. Yes, she has a very strong anti-gun stance. Yes, I disagree with a lot of it. And yes, the school did (I believe) everything they could within Utah’s laws. And I believe Utah’s laws are bad. But I think the conclusion here and through other parts of the internet is overly cynical. I can agree with all of this and still say this is a political stunt, albeit one with sincerely held beliefs. Case in point is the most famous political stunt in recent American history, Rosa Parks refusing to go to the back of the bus. She sincerely held the belief against segregation, but the stunt was coordinated with the NAACP to draw attention to the case. They work, that’s why people do them. It’s actually worse than this. 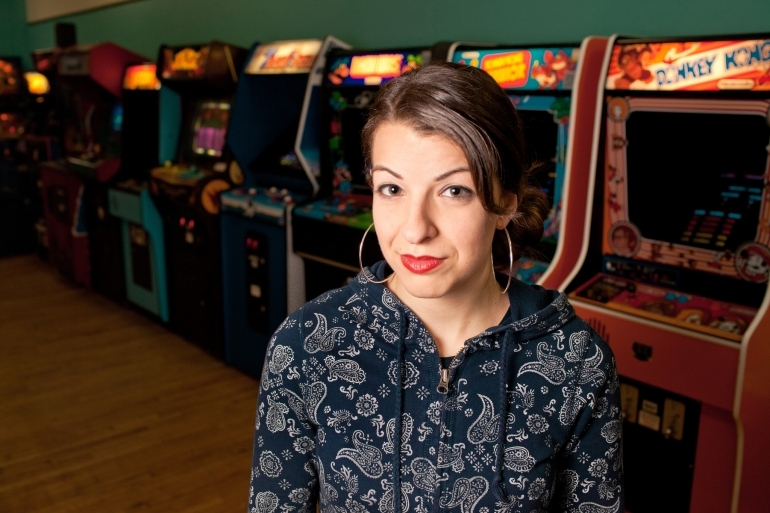 Look at the articles floating around about this, and almost no where will you see the actual reason that Anita cancelled the lecture (that she demanded the police ignore the law of their state) being reported. Instead, the death threat (from Gamergate, so they claim, though absolutely no evidence exists to support this) was why she cancelled. This is repeated everywhere. The political stunt was not to protest gun control – it was to pin the threat on Gamergate and accuse them of “censoring” her. After she got the threat the guns were just an excuse, she had her story ready to go and ran with it. And the press was more than willing to report it.